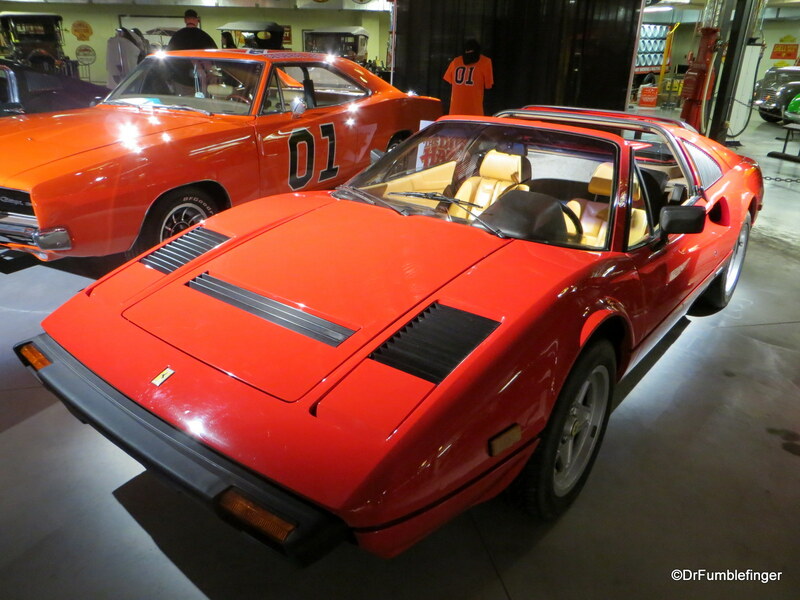 Cars of the Big and Small Screen. Hollywood comes to Calgary! 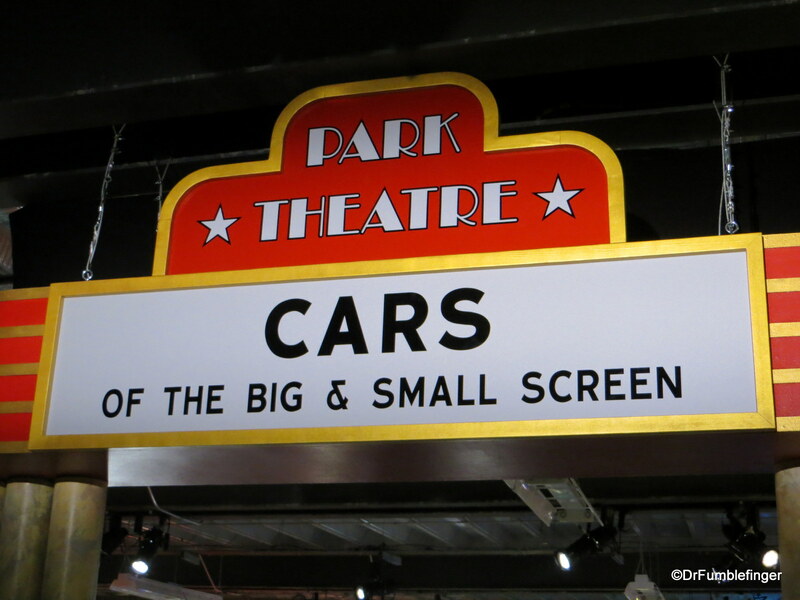 Karl on Apr 20, 2014 with Comments Off on Cars of the Big and Small Screen. Hollywood comes to Calgary! 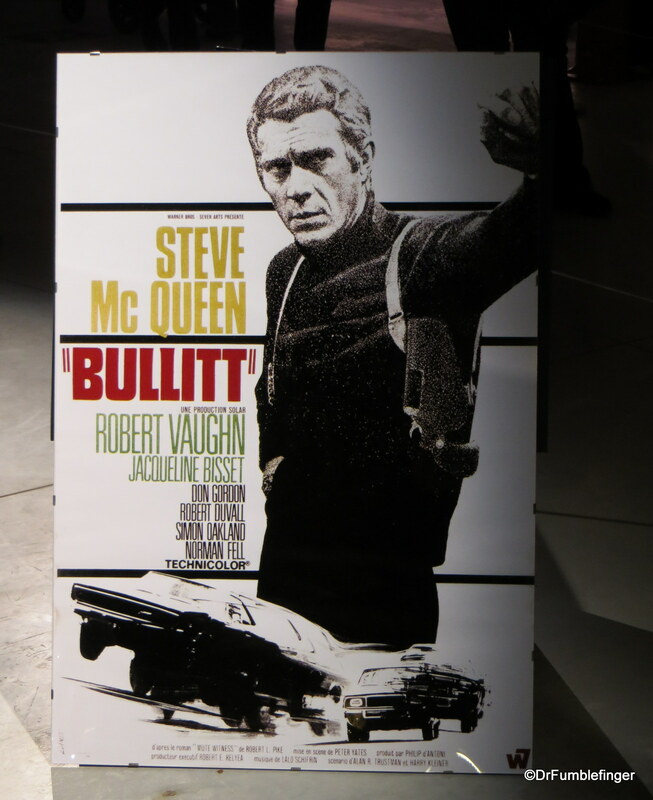 The exhibit was called: “Stars of the Big and Small Screen. 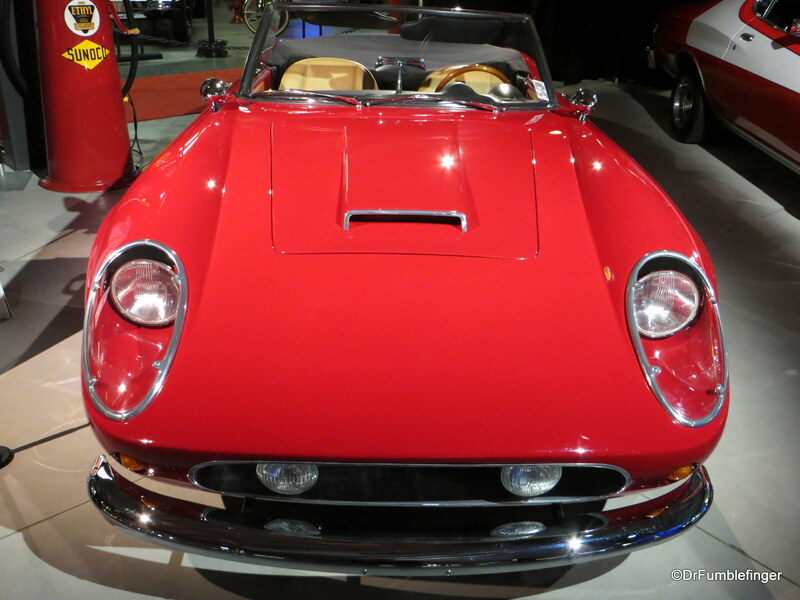 See the Cars that were the Stars”…. and it was an interesting collection of American Steel. 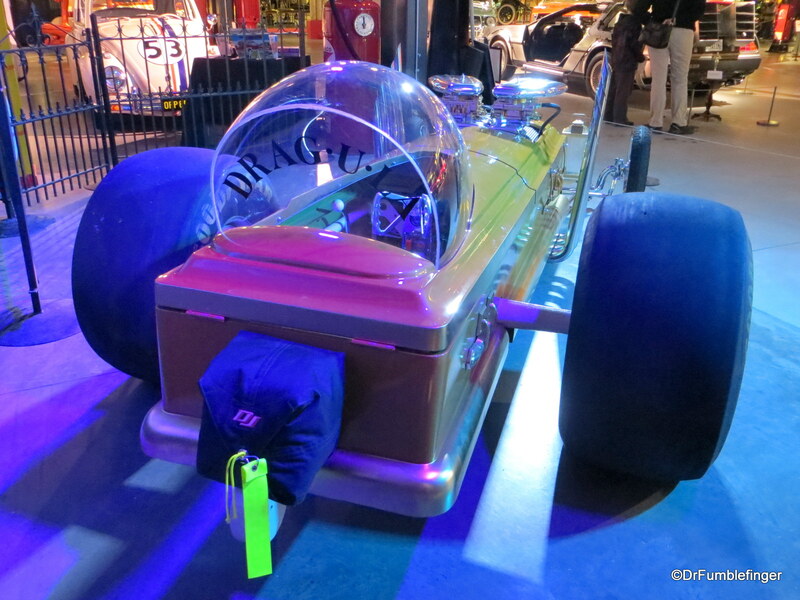 Free popcorn, guided tours, free movies (Herbie the Love Bug was playing the day I visited), costumes for kids to dress up in themed to go with the cars — it was designed to be a fun activity for a family. And it was fun! 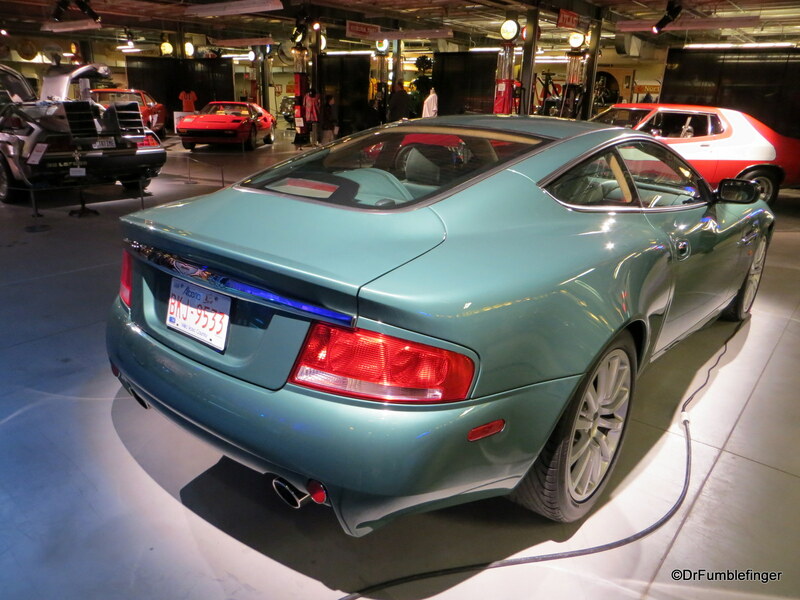 Calgary has an automobile museum known as “Gasoline Alley” which is located in Heritage Park. 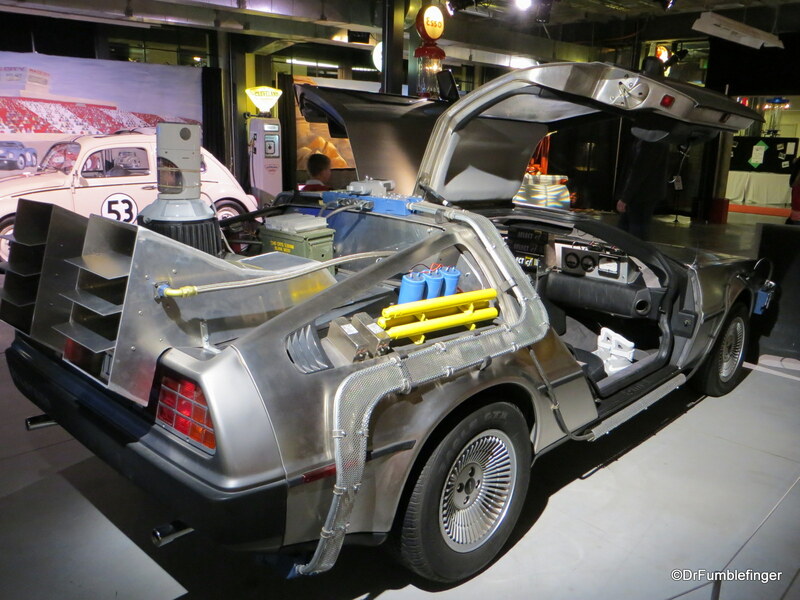 I’d not visited this museum before but when I heard about this special Hollywood-themed exhibit (the first event rolled out for the 50th anniversary celebration of the park), I thought it’s time to be a tourist in my own backyard. 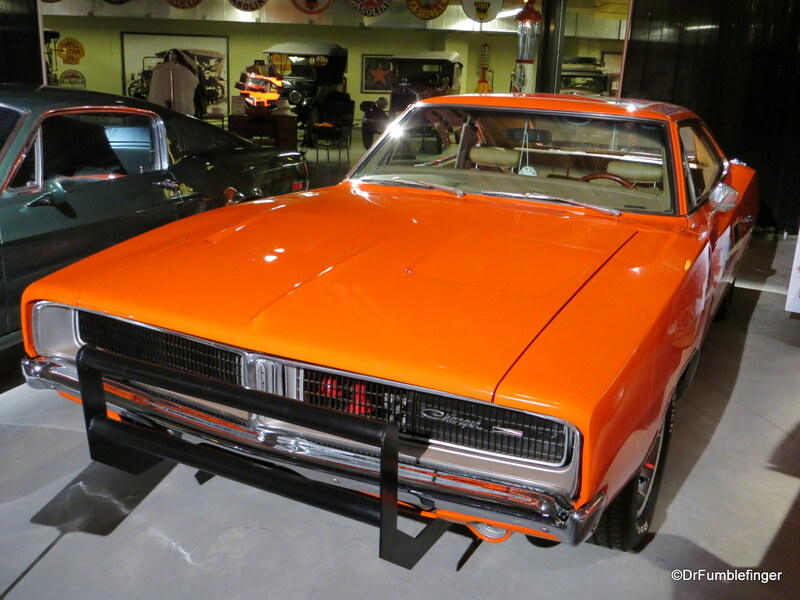 This post will be limited to the Hollywood cars only and not to the rest of the Museum’s fine collection. 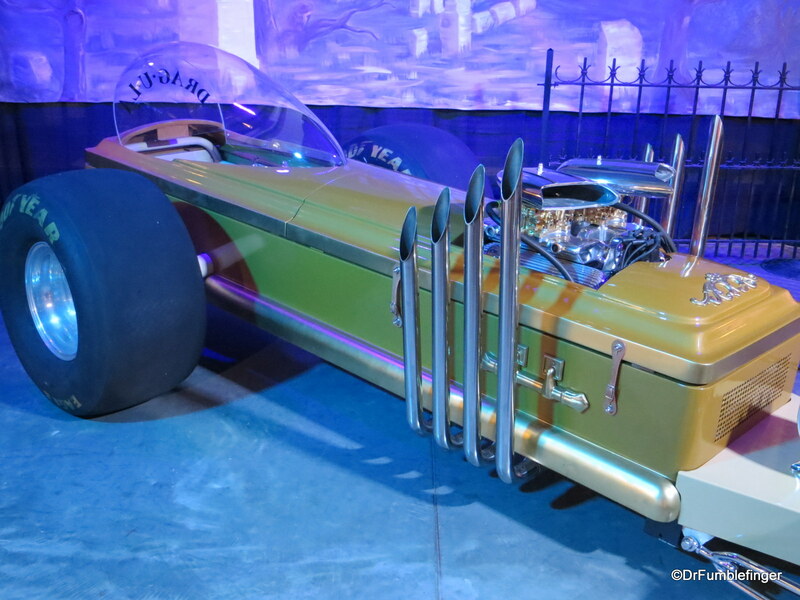 I’ll have more to say about Gasoline Alley in the near future because it’s a very cool place! 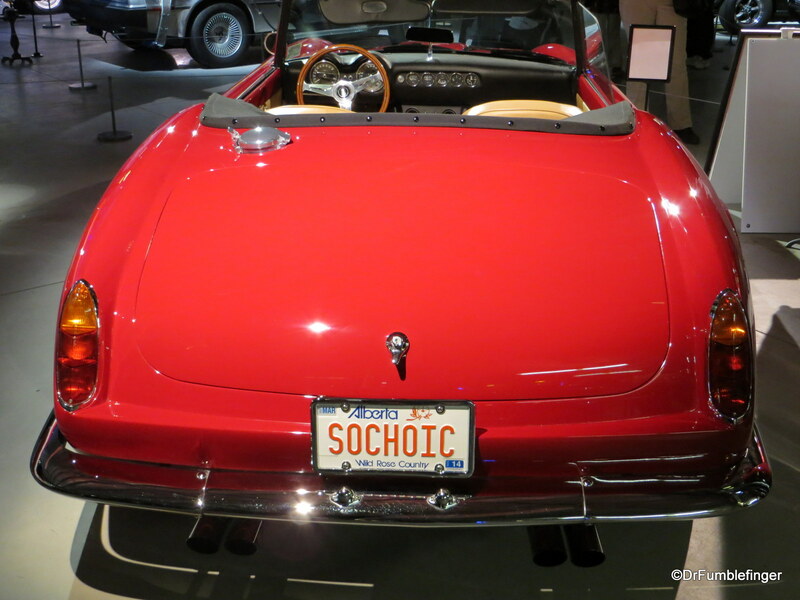 This museum, like most car museum’s I’ve visited, was a place of great beauty and a celebration of the human spirit. 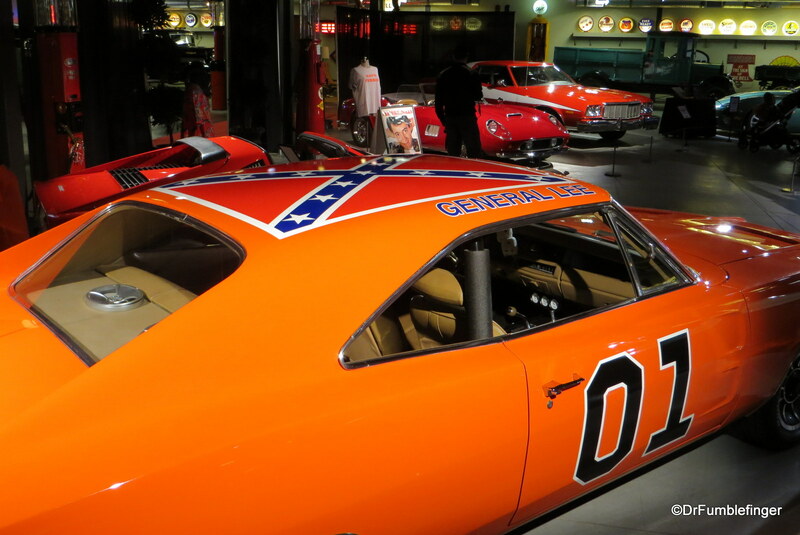 1) Dukes of Hazzard’s “General Lee” (1968 -69 Dodge Chargers). 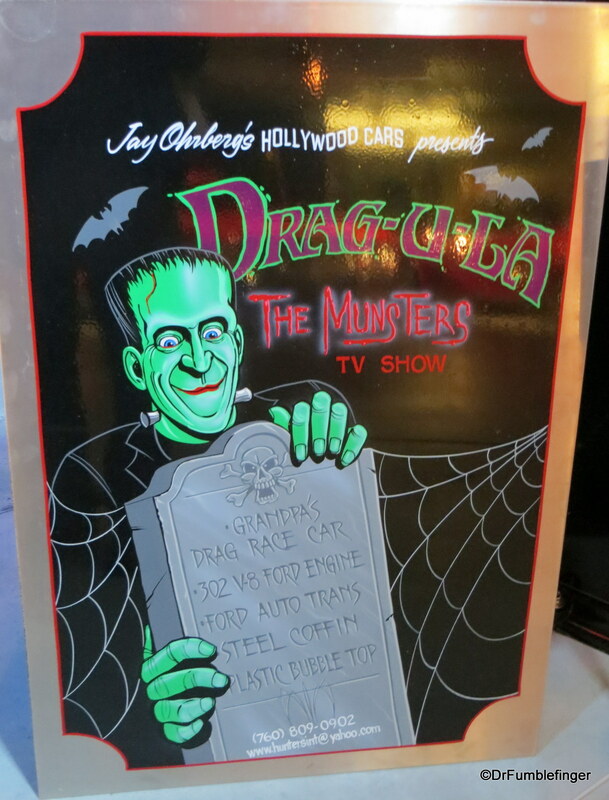 Many will remember footage of this car flying through the air on the TV series, and this car apparently set some records for height and length of car jumps. 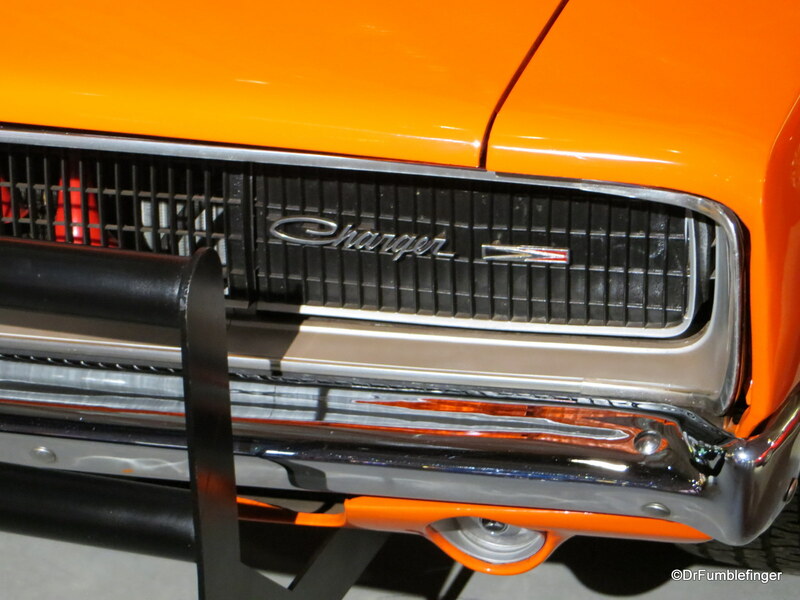 It’s interesting to know that with the frequent crashes the series was famous for, over 300 Chargers were consumed in its filming. 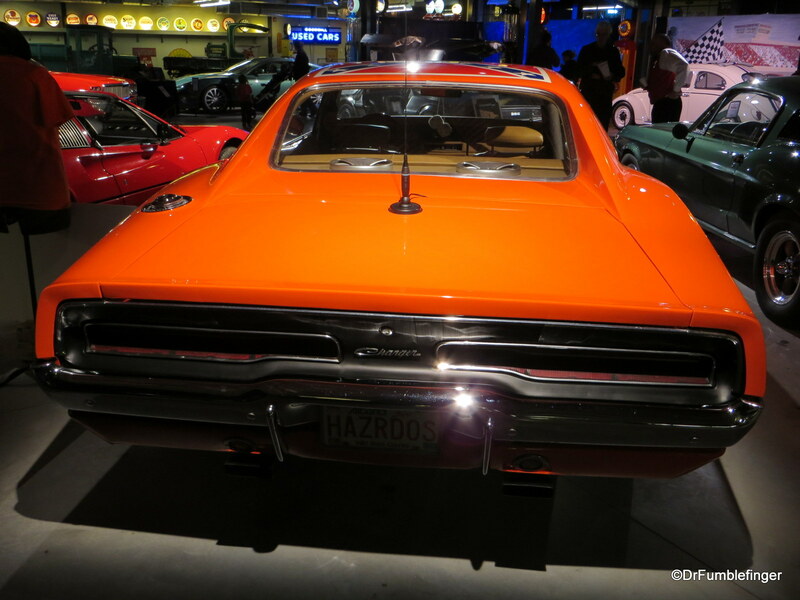 If cars can be controversial, this Dodge Charger is because it’s named after Confederate General Robert E. Lee, and because of the Confederate flag emblazoned on its roof (apparently the roof often is covered up in US exhibits, but it was unsheathed here in Canada). 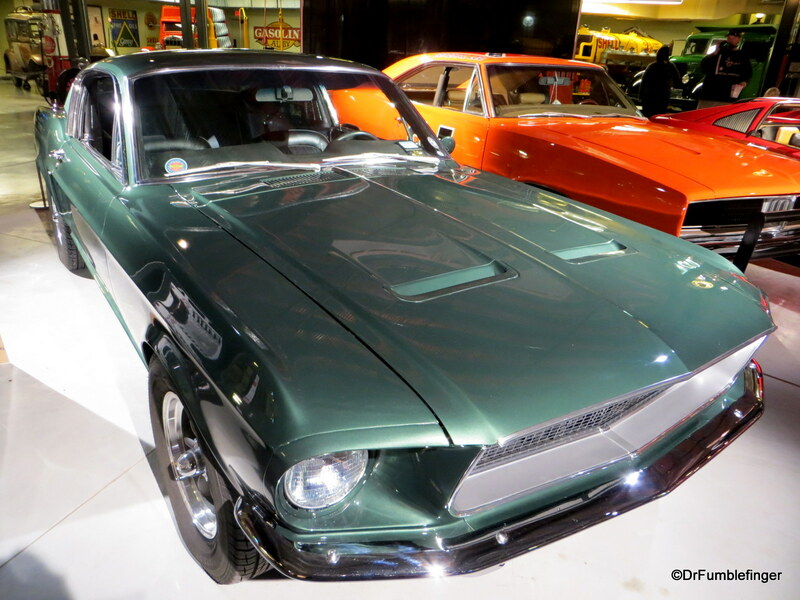 2) Steve McQueen’s “Bullitt” 1968 Ford Mustang GT 390 Fastback. 2 cars were used in the making of this high speed chase movie. Beautiful vehicle! 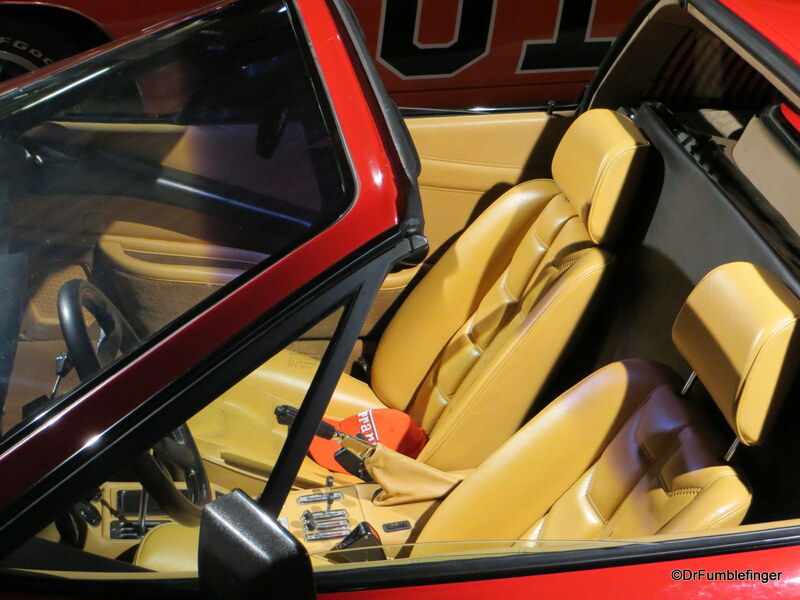 3) Magnum PI, Ferrari 308 GTS. 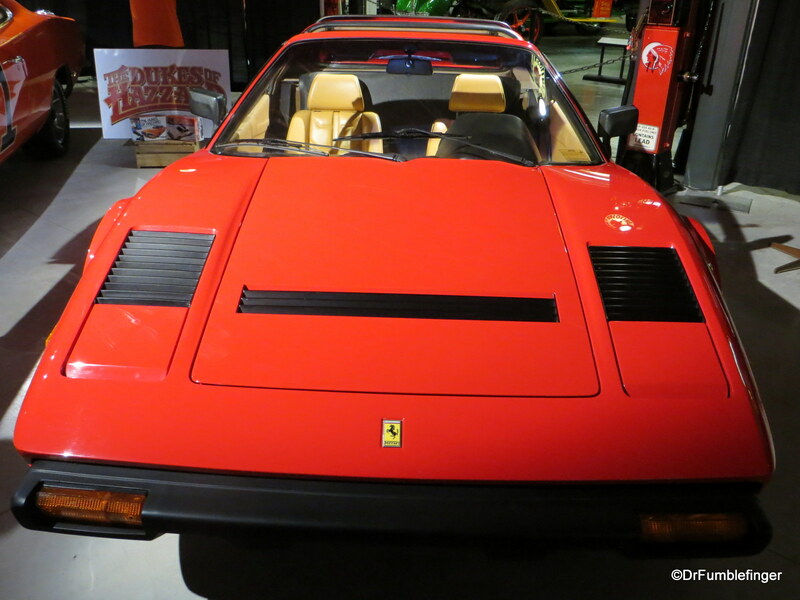 Three different Ferraris were used in the making of this series, each of which had to be customized for Tom Selleck’s lanky 6’4″ frame (eg. 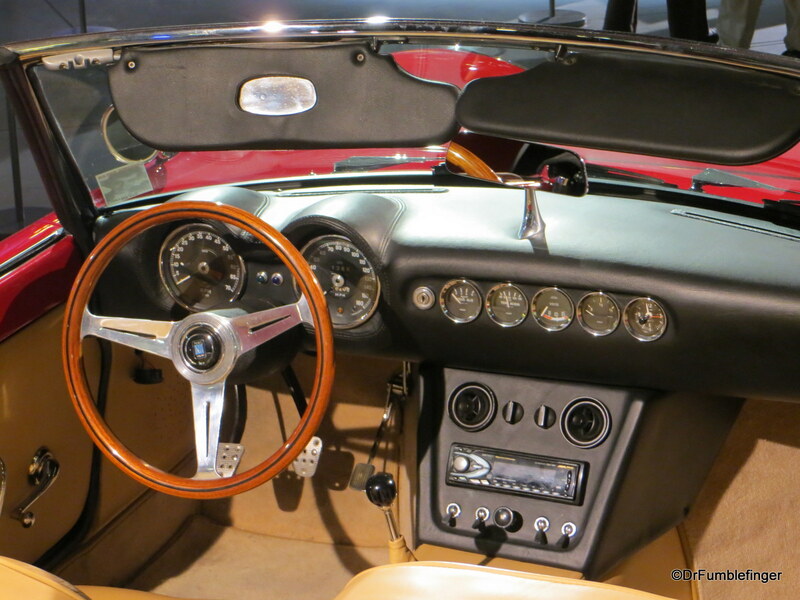 upholstery thinned, sunroof left off when filming, etc). But a magnificent machine! 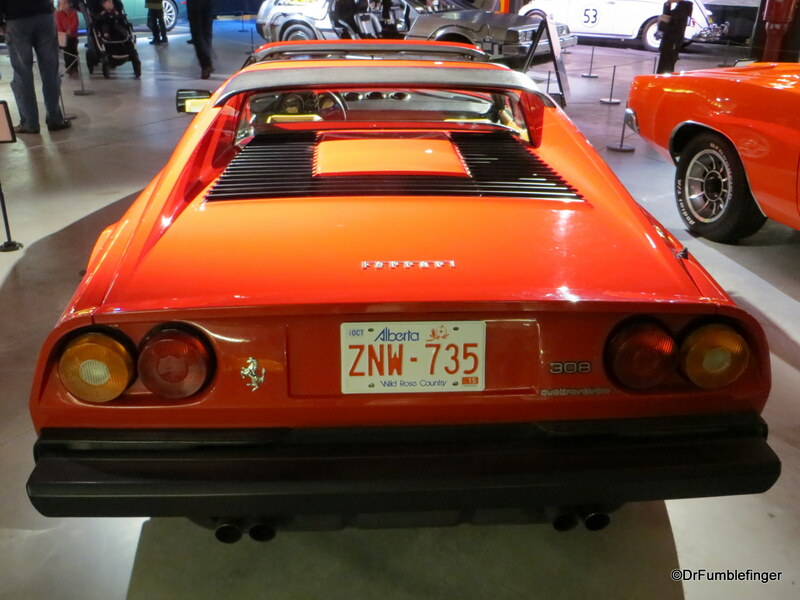 Ferraris are actually quite popular in Calgary (but used exclusively in good weather driving). 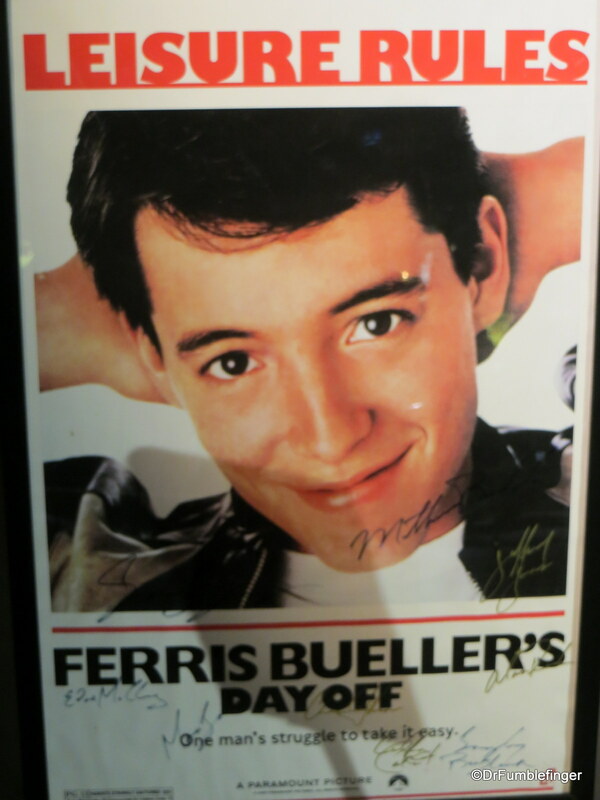 4) Ferris Buhler’s Day Off. Ferrari California Spyder (Replica). 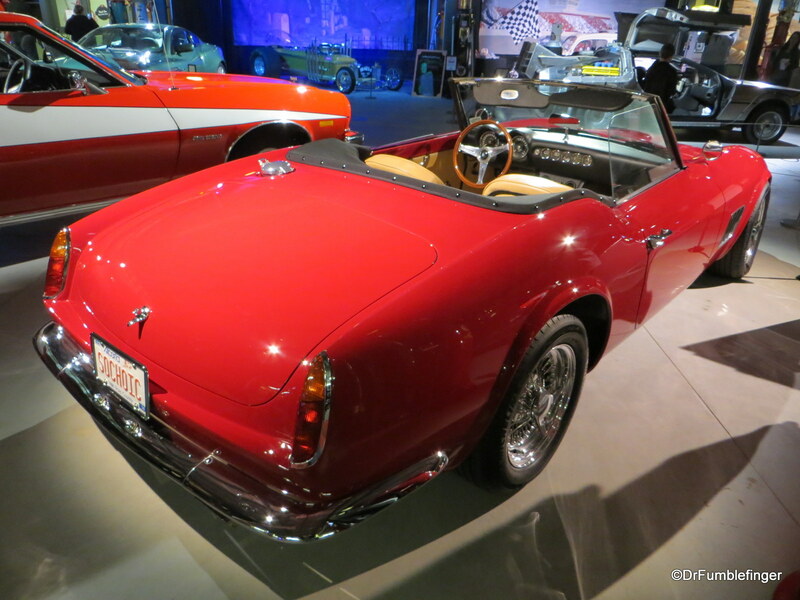 Apparently there were only 250 original California Spyder’s produced and because of their limited production these original cars were too valuable to be used in filming, even back at the time this movie was made. 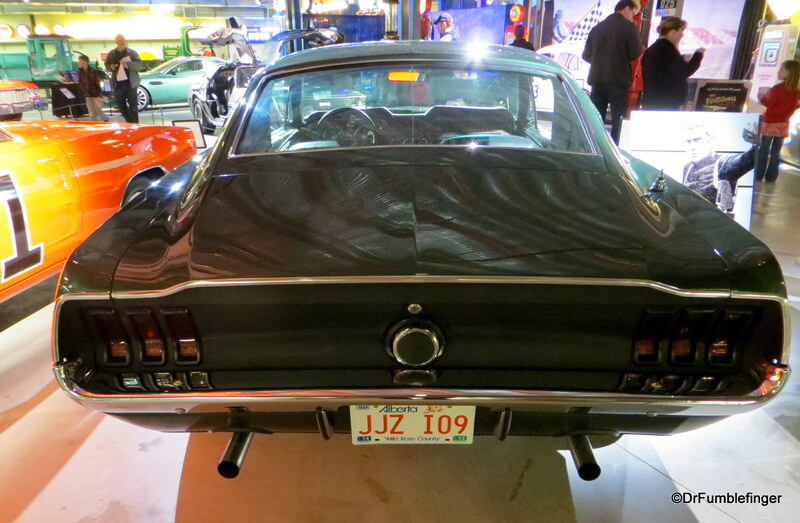 This is a replica (kit car) used in making that film — Mustang chassis with a fiberglass top. 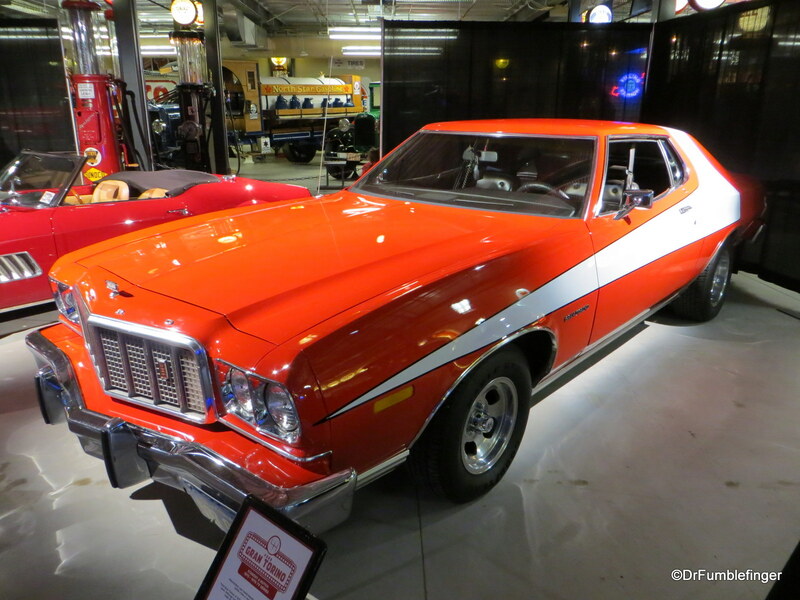 5) Starsky and Hutch’s Ford Gran Torino (1975-76 model vehicles were used in filming the TV series). Also called the “Striped Tomato”. 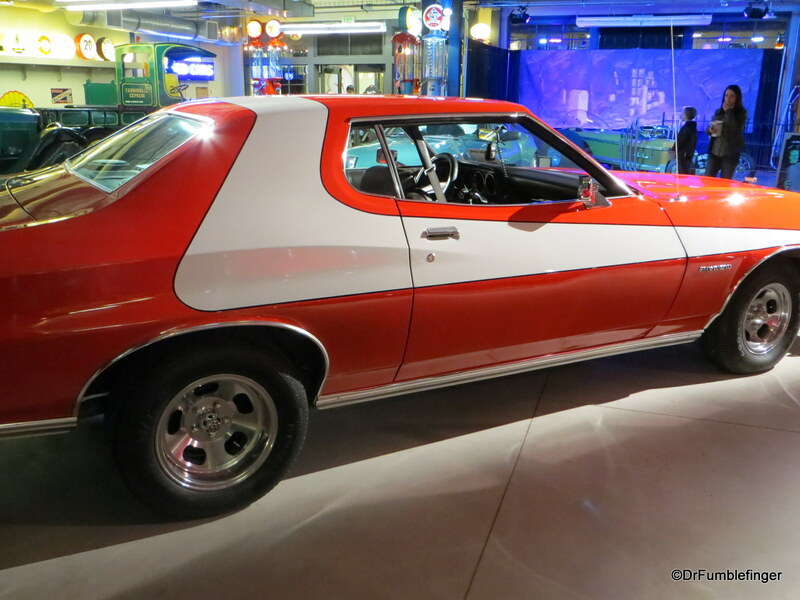 A special limited edition of 1000 cars was made by Ford in honor of the series. Again, many Gran Torinos consumed in filming this series. 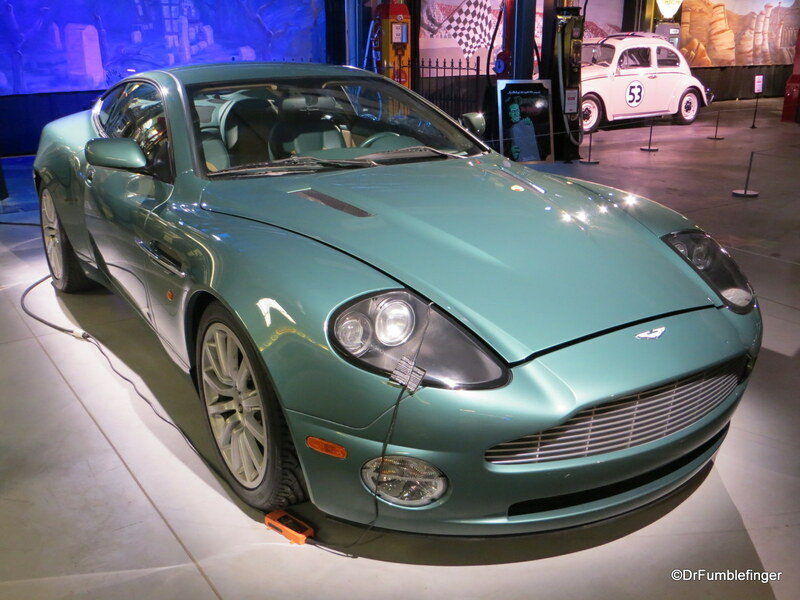 6) James Bond’s “Die Another Day” 2002 Aston-Martin Vanquish V-12. 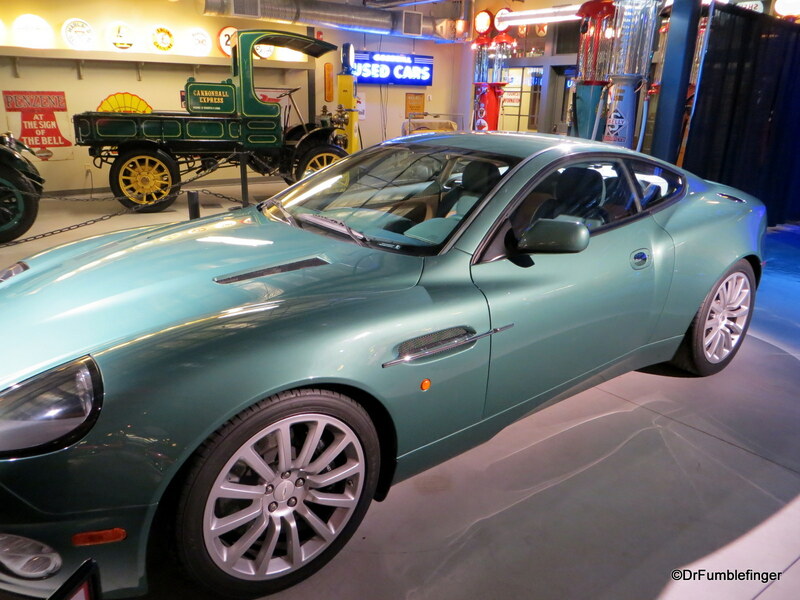 Bond’s only car in the entire film series is the Aston-Martin, this one used in the Halle Berry movie. 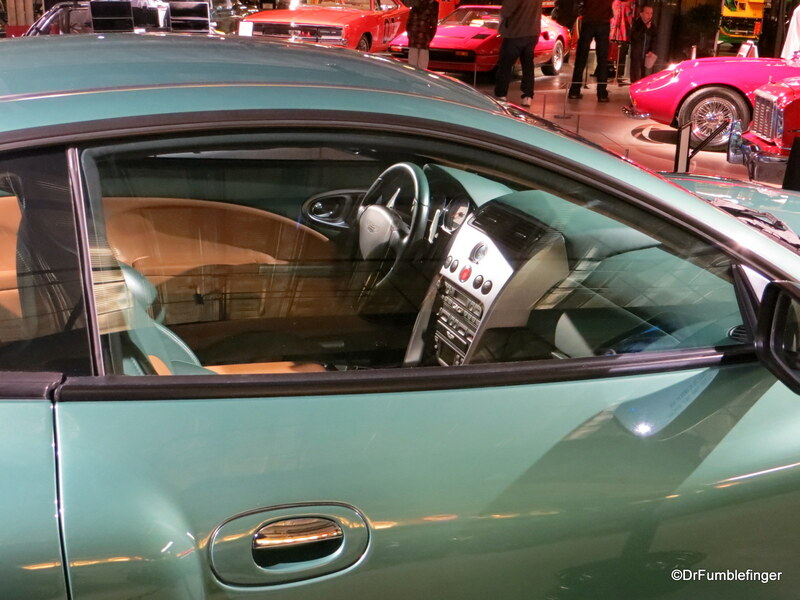 It has a 400 hp engine and is beautifully designed. 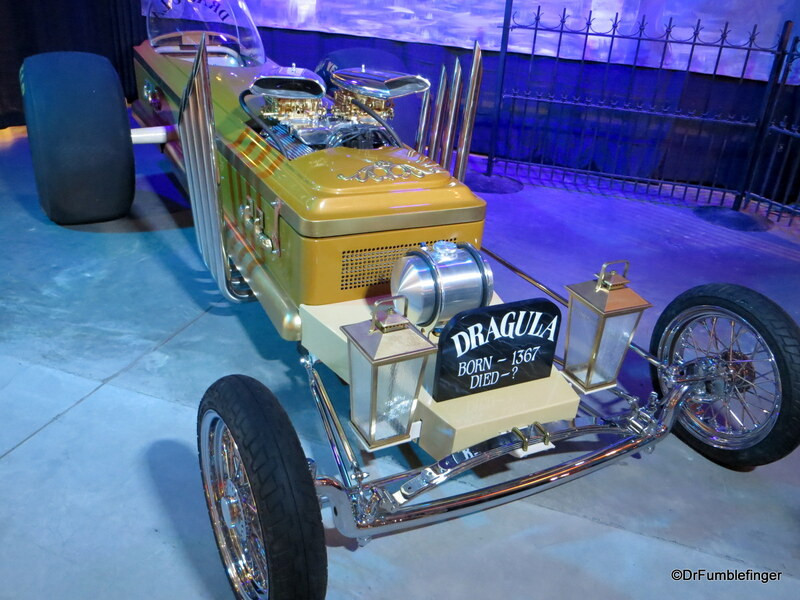 7) “Drag-u-la”, from the TV series “The Munsters” Grandpa Munster built this dragster in a 1966 episode when Herman lost the family vehicle. Grandpa had to race it to win the family car back. 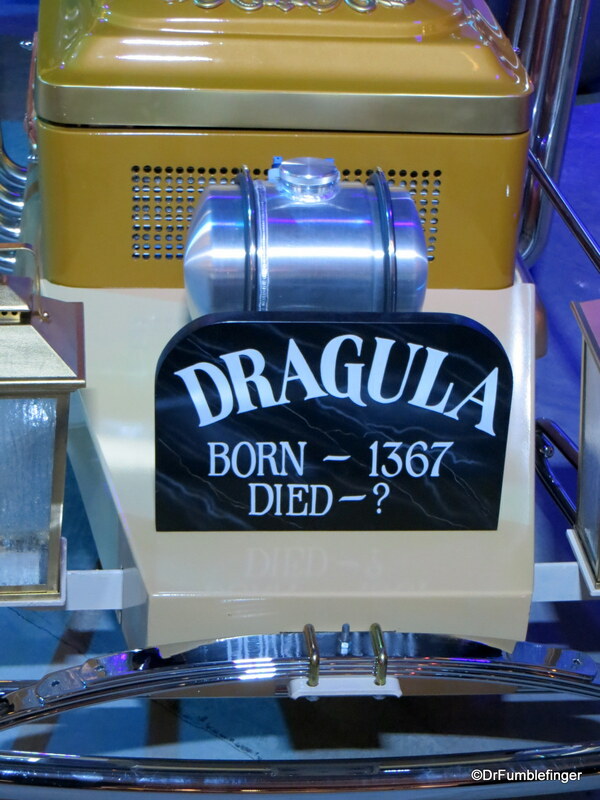 It has a Ford Mustang V-8 engine, slick racing tires, a fiberglass coffin (yup, a real coffin) body, organ pipe exhaust, and tombstone grill. An extremely cool car!! My favorite in this collection. 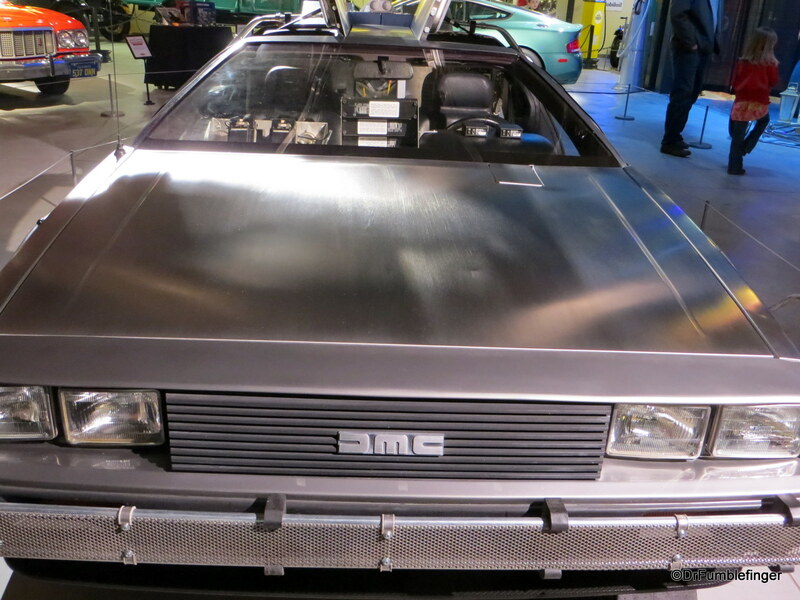 8) “Back to the Future” 1981 DeLorean DMC -12. 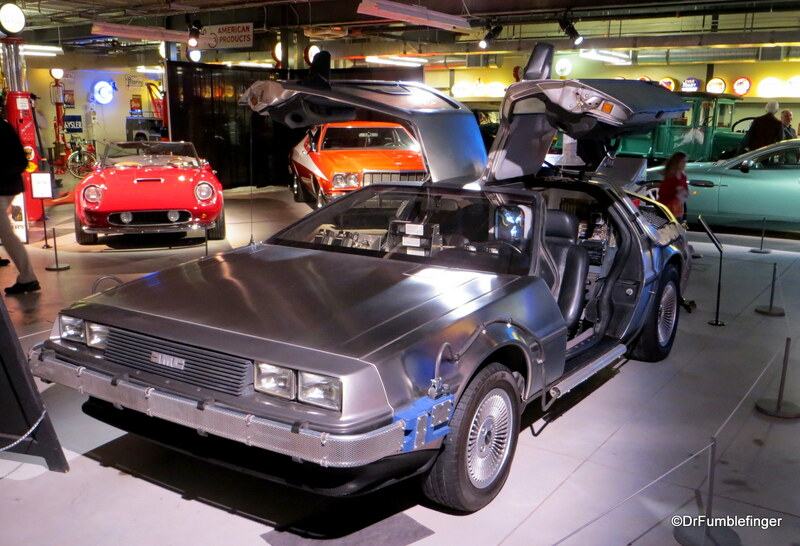 DeLoreans were built only a few years in Northern Ireland. 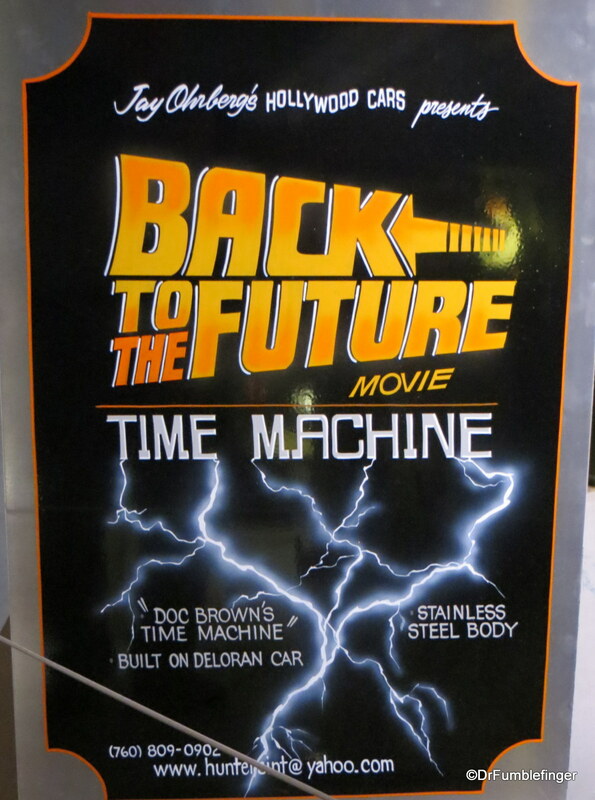 But the DeLorean’s (and skateboarding) were popularized by this movie — part of the great social impact of films. 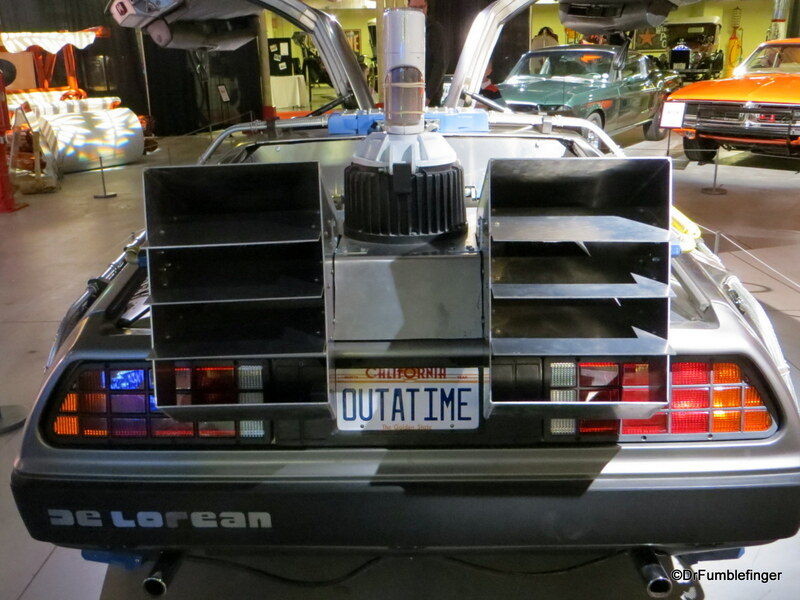 This vehicle is customized for time travel by “Doc”, and is powered by Plutonium — or a lighting strike! 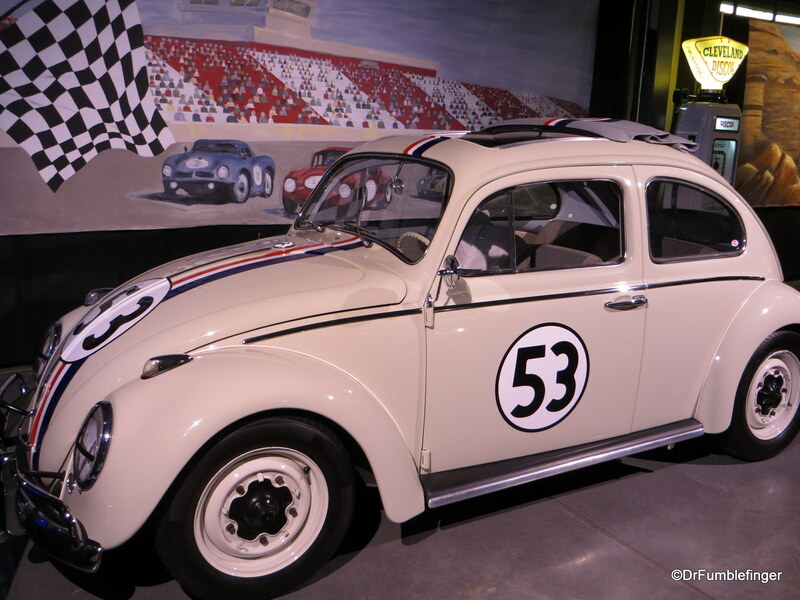 9) “Herbie the Love Bug”. 1963 Volkswagon sedan. 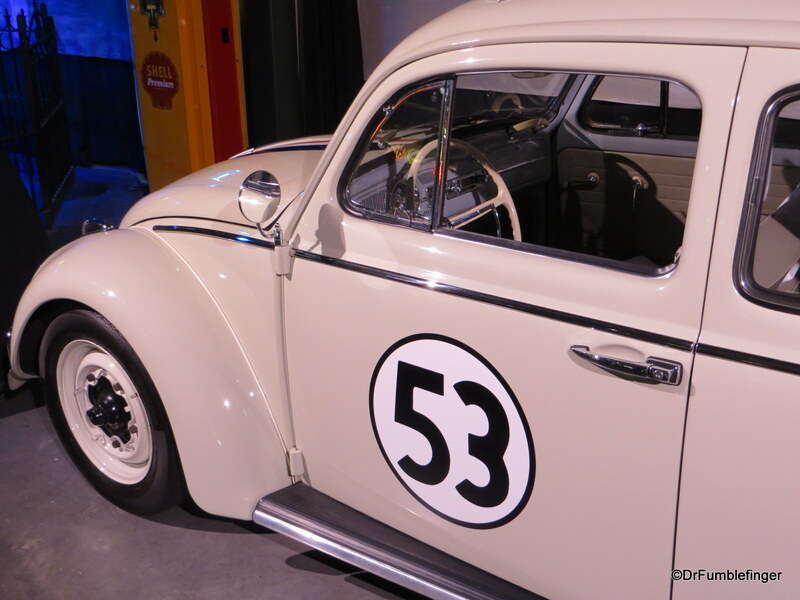 Every one loves a VW bug, especially Herbie! 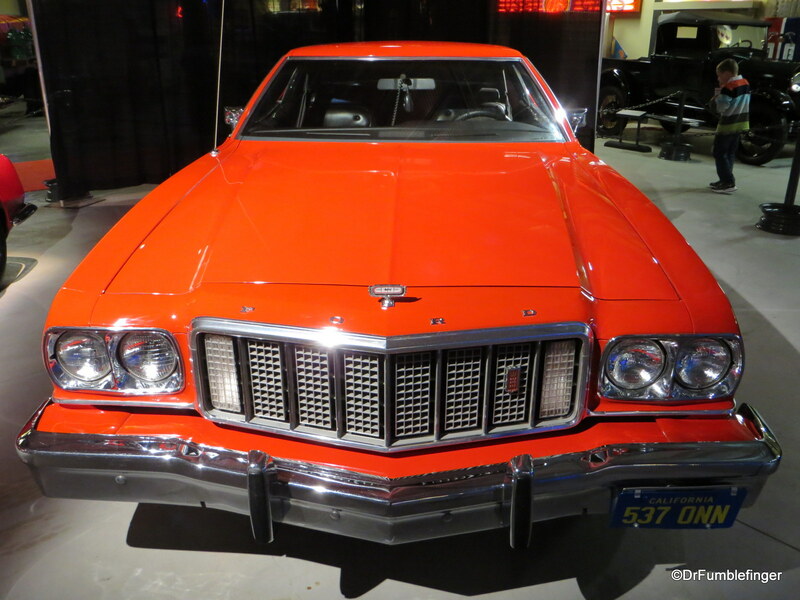 The #53 was given to this car because it was the number of the Producer’s favorite baseball player, L.A. Dodger Don Dreisdale. 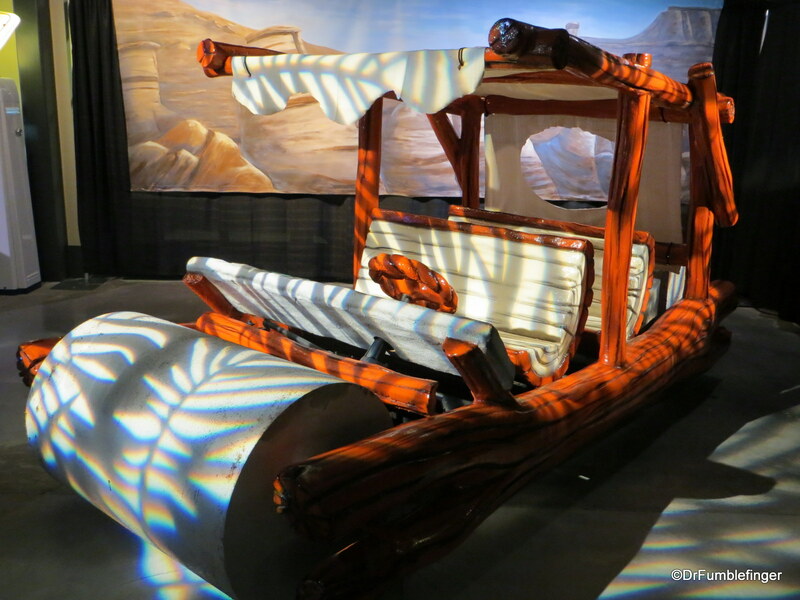 10) “The Flintstones” movie vehicle. Everything in the series was about rocks, including Fred’s car. 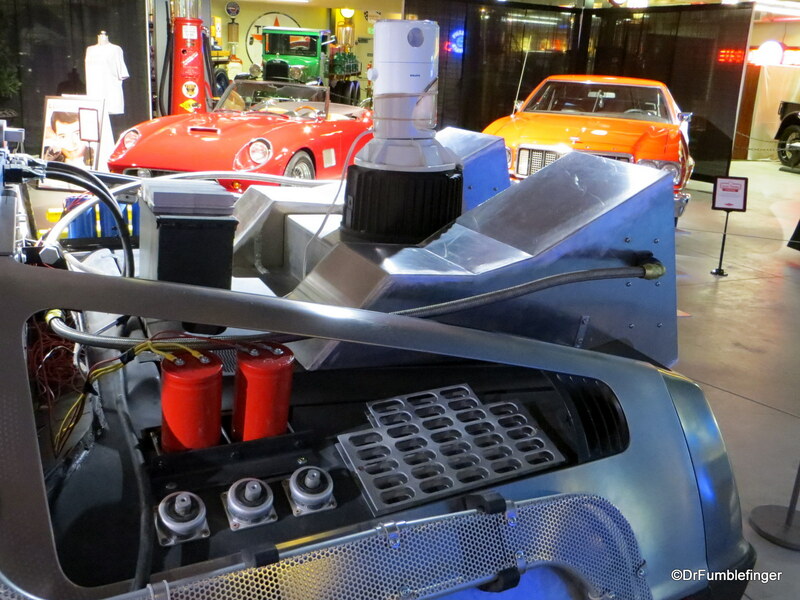 This is a fiberglass electric vehicle powered by a golf-cart engine. As you can see, it has a turning radius about as large as the Titanic’s. 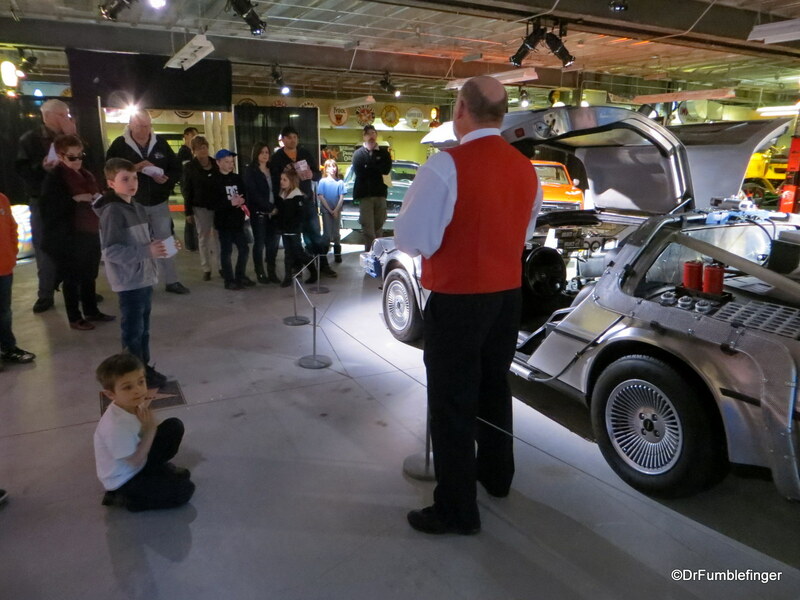 The kids liked it….me, not so much. 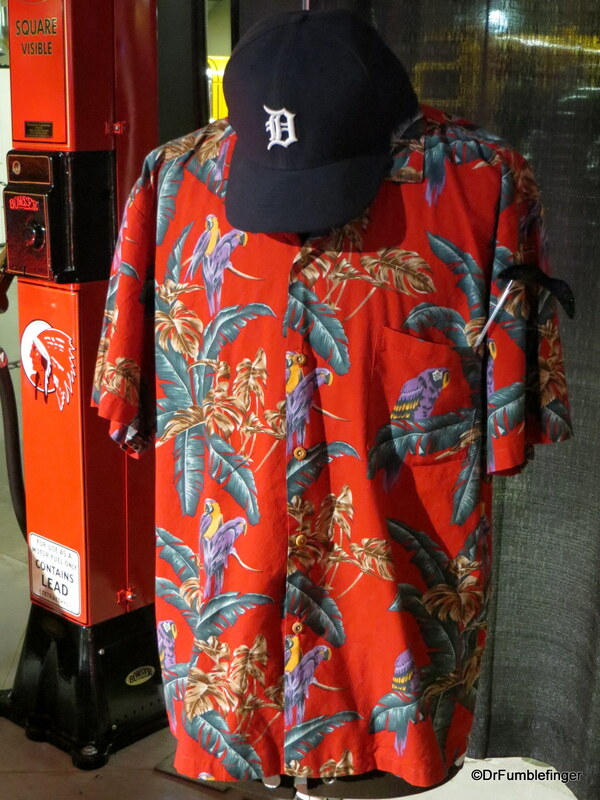 More on Gasoline Alley soon…..